Naval architecture is where concept becomes reality. The combination of exterior yacht design, interior yacht design and hull form come together to ensure that a project will perform to a client’s requirements. We have close discussions with a client to establish the anticipated use of their vessel in terms of speed, range and on-board requirements, as well as the required regulations that should be observed. Whether the brief is to create a luxurious cruising yacht or a cutting-edge gas turbine driven racing hull, we use our experience to identify the key factors that will act as the main design drivers. The basic principles of naval architecture will dictate how interior volume can be used. For example, a high speed vessel will require a more slender hull form, larger machinery allocation and lighter materials, whereas a slower more comfortable yacht will be capable of a higher displacement and will therefore support a more sumptuous interior. Having factored in our client’s requirements, we will start to create the concept shape of the hull - allowing our team of designers to progress to a viable first stage hull form for the yacht. On identification of the initial design, our naval architects will rationalise the lines using the Maxsurf suite of design tools. Maxsurf is a state of the art design package that allows us to fair a hull to its most hydrodynamic form, and also perform a preliminary stability analysis. By working closely with a number of suppliers of marine propulsion equipment, RMD can offer clients a range of powering options from gas turbines, surface piercing propellers and water jets, to controllable pitch and conventional fixed pitch propellers. 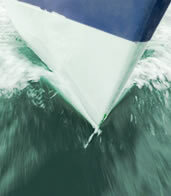 Unconventional or performance hull forms can also be catered for. RMD has access to facilities that will allow a design to be ‘tank tested’ creating detailed calculations and resolution analysis of resistance issues. 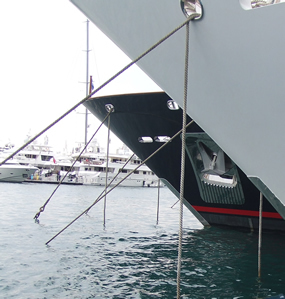 Tank testing and the calculation of the fluid dynamics associated with the superstructure of a yacht can greatly enhance both dynamic performance and the static ‘at anchor’ characteristics of a superyacht. Propulsion machinery, hull form, interior and exterior styling are all brought together with the aid of advanced CAD software that allows all elements to be considered in a ‘real-time’ model that highlights any issues in 3D. 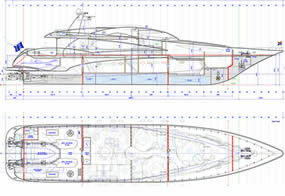 VectorWorks and Alias are two packages that can run in parallel to Maxsurf to provide a powerful suite of design equipment capable of exact modeling for the yacht as it is to be built. The exact nature of the detailed development work carried out by RMD allows a shipyard to build directly from our supplied plans, potentially cutting out further development time and costs for our client. RMD aims to model a design as precisely as possible from the outset so that at any point in the design process a client can see exactly where development has taken place and where progress has been made. This process also allows our team to quickly identify issues that may need resolution. By supplying naval architecture to support our other design disciplines, RMD offers a ‘one-stop’ solution to a client, enabling us to perform all roles in the design process efficiently and at a lower cost than if out-sourced.